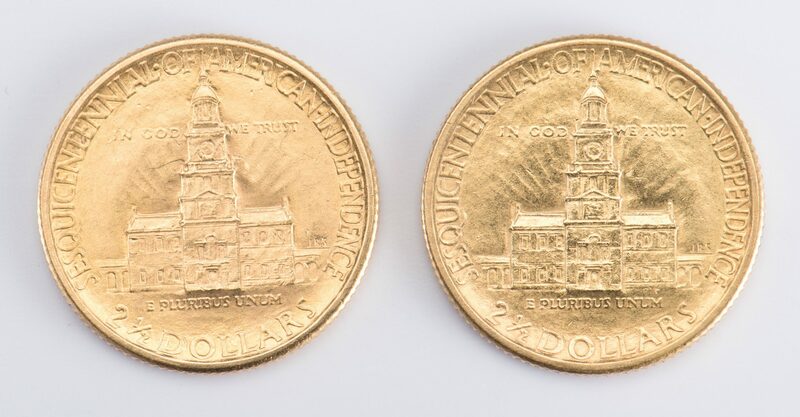 Two 1926 $2.50 American Sesquicentennial gold coins, .900 fineness, reeded edge, designer John R. Sinnock, 18 mm, not graded. These coins were struck to commemorate America's 150th year as a nation. 8.4 grams together. 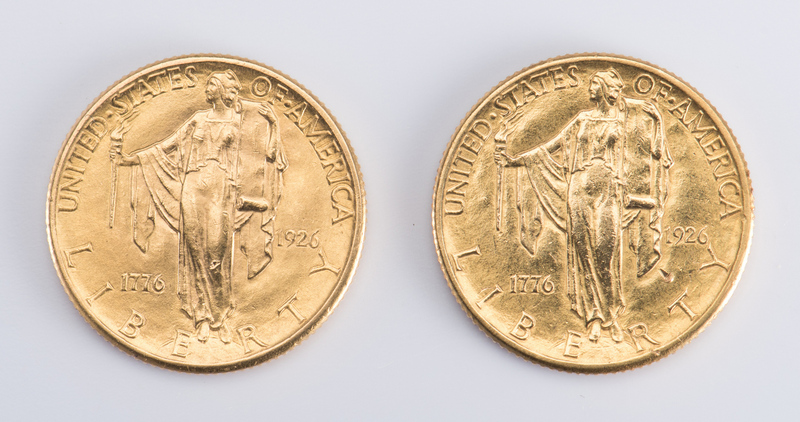 CONDITION: Uncirculated.